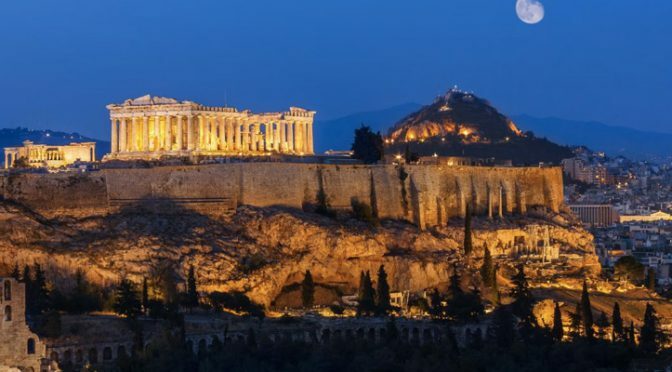 Check Flights To Athens Right Here! The airport began operation on 29 March 2001 and is the primary civilian airport that serves the city of Athens and the region of Attica. The airport is the major hub and base of Aegean Airlines and Olympic Air. The airport is operated by Athens International Airport S.A and is the thirtieth busiest airport in Europe. The airport currently has two terminals the Main Terminal and the Satellite Terminal accessible by a foot-tunnel from the Main Terminal. Six car companies currently operate at Athens international Airport with offices located at the Arrivals level. The car rental area is within walking distance from the main terminal building, located at the northern side of the building. At the Arrivals Level of the Main Terminal Building, A full range of postal and courier services are provided by the Hellenic Post Office is located. The Wireless Internet Zone Service is available within the airport’s terminal areas and is offered for FREE, the service is accessible through laptops and palmtops. This is a business friendly hotel and Eight Business Lounges, operate at the Departures Level of AIA. Parking is free for the first twenty minutes, which makes it easy for people who are here to drop or pick someone. Long term parking is also easy and convenient and people can park for six to seven days for almost fifty Euros.